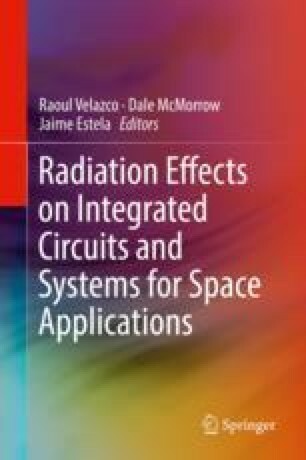 This chapter describes the suitable protections at architecture and system level against the effects of radiation on electronic components and digital systems. After the description of the general architecture of a space avionics system, the potential solutions for each type of units (equipments) constituting an on-board computer are presented through the example of real space applications: avionics bus, links, memory units, and—the main part—processing units i.e. fault-tolerant architectures. The main fault-tolerant mechanisms are overviewed, as time replication either at instruction or task level, duplex, triplex (TMR), lock-step, then a trade-off between these different solutions is outlined. Real case studies are also analyzed. The author gratefully acknowledges the different participants in the improvement of this chapter: Thierry Chapuis (CNES) for a part of section “Good Practices to Face Radiation Effects”, Alain Peus (CNES) for section “Stating the Problem”, Jean-Louis Carayon (CNES) for section “MYRIADE: A Small Satellite Case Study” and all the other people not mentioned.